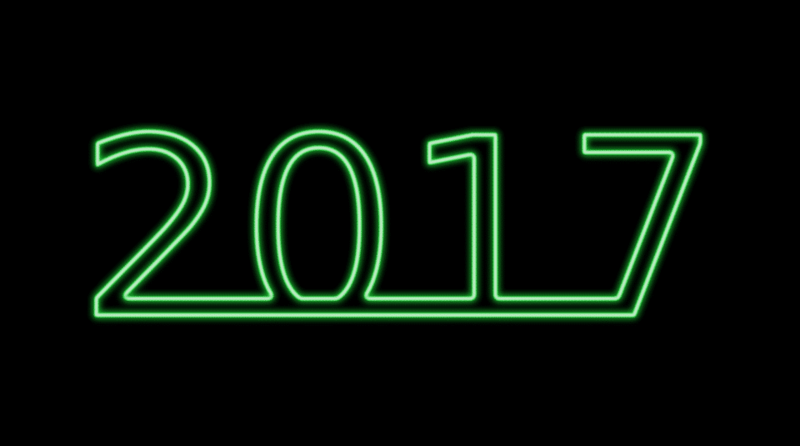 Tonight, our leading analysts look back at 2017 and highlight the key trends and events that made the most impact on our industry. You’ll be surprised at the diversity of their opinions – in fact, almost no one agrees with anyone else! Join us and see if their opinions match yours. Larry Jordan: In his current role as Director of Technology at Key Code Media, Michael Kammes consults on the latest in technology and best practices into the digital media communications space. He is also the Executive Producer and Host of ‘5 THINGS.’ Hello Michael, welcome back. Michael Kammes: Hello Larry, great to talk to you again. Larry Jordan: Michael, put your guru hat on and take a look back at 2017. What were some of the highlights for you? Michael Kammes: Well, Larry, I kind of classify it into two different categories. I’ve got the stuff that surprised me and the stuff that I thought was kind of interesting. I think one of them, which I think you could probably relate to, is Apple. Obviously, Apple came out and said, yes, we may not have made the best product and we’re going to come out with a new Mac Pro next year, 2018. Michael Kammes: They also announced an iMac Pro many months before it actually shipped; so it was very unique from that perspective, to have a company like Apple, which really doesn’t forecast too much, to actually come out and admit they may have had a few missteps and talk about product that, at that point, was vapor. I thought that was very surprising. Michael Kammes: I also thought that there’d be more OTT activity this year. What I mean by that is more Apple TV channels, more Roku channels and, although there were more, it seems that the adoption of doing that has been a little bit less than what I would have expected. You know, there are tens of millions of people who are using Apple TV and Roku and yet, you know, I’m not hearing a lot about people saying, you know what, we need a channel. I thought that was pretty surprising. Michael Kammes: Lastly what I thought was very surprising is that we’re still doing remote editing in the old paradigm; we’re still shipping hard drives and we’re still creating proxies and then trying to download those and edit them. Neither Apple, nor Adobe and only Avid to a little bit of an extent, if you have deep pockets, can most people afford to do remote editing without shipping media and working locally and I thought that was pretty interesting. Larry Jordan: Well, isn’t that partly due to the low bandwidth that we have access to? I mean, if I tried to do remote anything I’d have to edit still images, because my bandwidth connection is so slow. I think that’s a gating factor is it not? Michael Kammes: It completely is. The whole concept of the infrastructure here in the United States, you know, isn’t really keeping up with the rest of the more developed nations. We still have latency issues; you know, speed of light, it’s a law, can’t really break that. But I’m really surprised there hasn’t been another plan out there. My gut tells me that Adobe will have something next year and that’s not NDA, it’s just a gut feeling that I have. But we can certainly save that for another episode. Larry Jordan: Alright. You said there were two categories; stuff that was surprising and stuff that was interesting. You’ve talked about the surprising stuff, what about the interesting stuff? Michael Kammes: Well the interesting stuff is that, when it comes to storage and you and I have talked about this before Larry, I’ve been a SAN purist. I believe that storage for video is vastly different for shared storage, compared for IT and yet I’m seeing a lot of storage manufacturers come out with less expensive NAS solutions and market that to small workgroups. That’s been kind of the tough pill for me to swallow, because I just don’t think the performance and quality of service is there; yet the price point seems to be so enticing that many small boutique facilities are moving to NAS solutions and I think it just may bite them in the long-run. Michael Kammes: I was also very interested in a lot of the Cloud offerings; whether it be transcription in the Cloud; whether it be object recognition in the Cloud. Assigning metadata based on the media that you’re adding to these AI services and it also opens a whole new playing field for companies who are provisioning AI services for companies. For example, you know, Watson may be great for audio but isn’t the best for video; so you put an intermediary company in there who can farm out the videos to the proper object recognition software and audio to the proper audio recognition software in the Cloud. I think that’s a whole nother business paradigm which is great. Michael Kammes: I think also what was interesting is, you know, a lot of people jumped on the VR bandwagon and we’ve seen a lot of high profile facilities closed down. Oculus closed their storage studio, you know, which won multiple Emmys and Nokia shut down their camera unit. I think we’re seeing people kind of seeing the forest for the trees in terms of where VR may be popular in the next coming year. Larry Jordan: It’s interesting, because, some of the other people we’ve talked to on the show tonight are definitely plus/minus on VR; some are plus and some are minus and it sounds like you’re sort of hovering in the middle. Michael Kammes: Well, I think there’s a time and place for it. I think the cinematic long-form VR is going to be a very tough nut to crack; I don’t see it going that way. I see short-form experiential VR being more applicable, whether it be real estate, whether it be marketing, whether it be carnival rides and theme parks. I think AR is actually what’s going to be the more important kind of cousin to that; but I think VR’s going to have just a certain niche in the market. Larry Jordan: That leads me into my next question, which is, what’s going to happen in 2018. Michael, what I’d like to do is to invite you back next week and see if you can give us some guidance on what we can expect in the future. Michael Kammes: I’d absolutely love to come back Larry. Larry Jordan: Michael, for people that want to keep up with what you are thinking and doing, where can they go on the web? Michael Kammes: There are two places Larry. You can go to michaelkammes.com; you can also go to 5thingsseries.com. Larry Jordan: That’s all one word, michaelkammes.com and Michael Kammes himself is the voice you’ve been listening to. Michael, thanks for joining us today. Michael Kammes: Always a pleasure Larry, thank you.